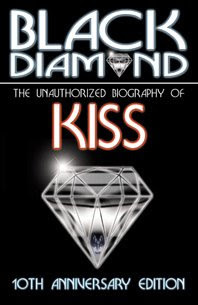 This week an unexpected book arrived in the mail, I say unexpected not because I didn't think I'd get a comp copy, but unexpected because I didn't think that it'd ever happen - the 10th anniversary edition of Dale Sherman's excellent Kiss biography, Black Diamond. 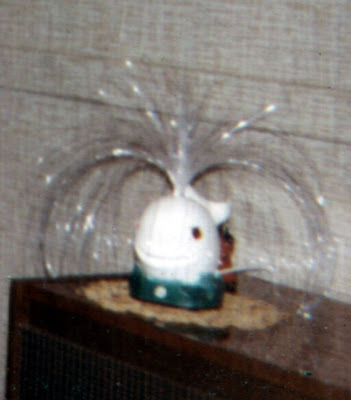 On the surface of things this just looks like another tacky fibre-optic lamp, and, in a way, I guess it is just that. To me though it's been one of my life's quests, the holiest of holy grails. What do I know about the SANFL in 1928? Not much. I do know that Glenelg's Jim Handby won that years Magarey Medal, the real Port Adelaide (that's the Magpies, not the Power) won the premiership, Ken Farmer* - the man who should be considered the best full forward ever (after all he kicked more goals at senior level than anyone else in either AFL, VFL, SANFL or otherwise) - made his debut for North Adelaide and on August the 4th Glenelg beat the living suitcase out of Sturt. How do I know the latter? That'd be due to the art above.